We're excited to share that our upcoming First Friday at SZ Gallery is a special one. 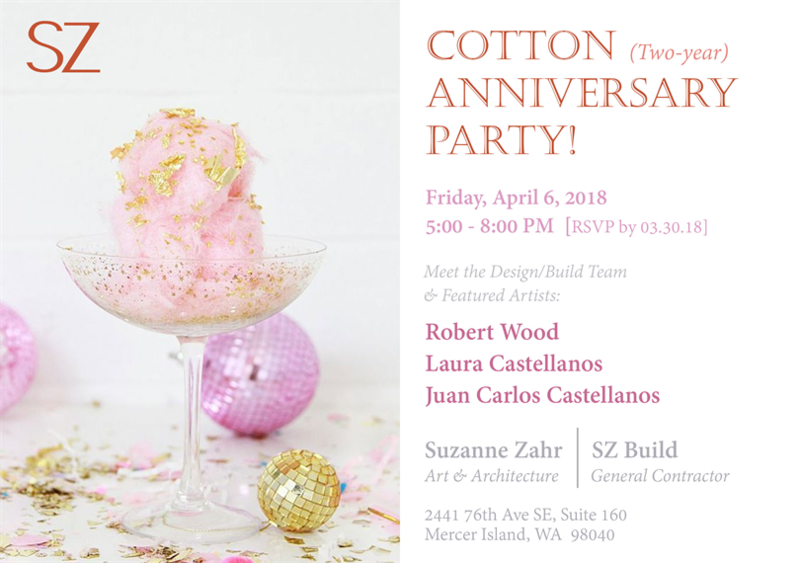 We're celebrating our Cotton (two-year) Anniversary with special themed cocktails and small bites, along with debuting three new artists. Come celebrate with the SZ Team and our April/May artists, Laura Castellanos, Juan Carlos Castellanos, and Robert Wood, on April 6th between 5 - 8 pm! Click here to submit your RSVP by March 30th. Visit our Artists Pages to see the art that will be on display from April 6 - May 31.